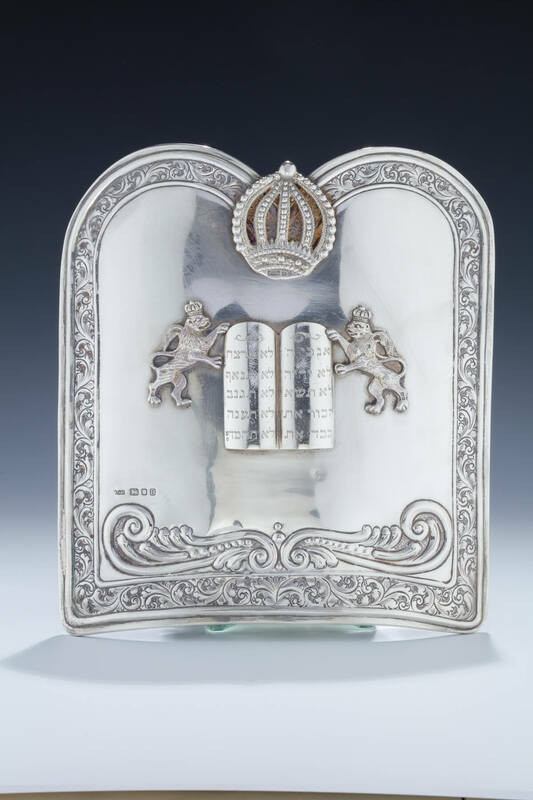 A SILVER TORAH SHIELD BY ARON TEITELBAUM AND SON. London, 1937. The outer border chased in foliate flowing designs. Mounted with two royal lions flanking a decalogue underneath a crown. 10.7” tall.